Become a member to receive newsletters and e-updates on all local cycling news. Network Rail will begin work on Bromham Road railway bridge on Monday 4 March 2019 to remove and relocate onto a temporary bridge the underground services running under the current bridge. This will require a partial closure of the A4280 over the bridge with traffic prohibited travelling westwards 24 hours a day between Monday 4 March to Thursday 18 April and then for 65 nights from Thursday 18 April to Saturday 22 June 2019. It is programmed to demolish the top of the bridge during July/August and construct a higher bridge to provide clearance for the new overhead line equipment to pass under the bridge in preparation for the electrification of the line to Corby. To find out more about the work a public informatiion event will take place on Friday 22 February 2019 between 15:00 and 19:00 at the Park Inn Hotel, 2 St Mary's Street, Bedford, MK42 0AR. A public inquiry on the Network Rail (London to Corby) (Land Acquisition, Level Crossing and Bridge Works) Order took place in Bedford at the Park Inn starting on Tuesday 5 February 2019. Initially there were only two objectors, CCNB and Bovis Homes re land issues at a bridge in Wellingborough. In the event Bovis Homes after numerous outside meetings finally withdraw their objections on the Wednesday evening. While waiting for the outcome of their discussions they took very little part in the public inquiry except for a number of update statements. The public inquiry was therefore entirely devoted to CCNB and took two and a half days to complete. CCNB awaits with interest the Inspector's report and the Secretary of State for Transport's final decision. CCNB believe it is already too late to get a positive answer as Network Rail intends to demolish the existing bridge in July/August to meet the target December 2020 start date of the new electric services between London and Corby. It was noted that Bedford Borough Council had withdrawn their representation in August 2018 when they accepted Network Rail’s plan and decided, with a contribution from Network Rail, to pursue a separate bridge. Objections, although finally withdrawn, to Network Rail's proposed temporary bridge leads CCNB to the conclusion that planning approval for a permanent bridge in the same position will not be easy. CCNB believes that the only way to get the required dual use pedestrian/cycleway across the bridge, as presented in their evidence, is to amend the road bed, either on the bridge proposed or on a slightly wider bridge. All the information presented by CCNB and Network Rail can be seen under here. 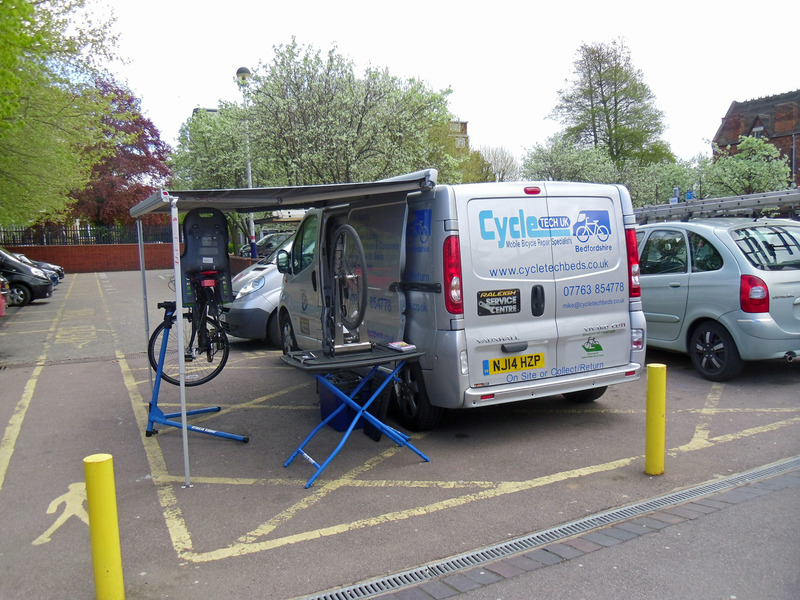 The mobile cycle repair service provided by Cycle Tech Bedfordshire at Bedford railway station since May 2015, initially every Tuesday and Thursday but latterly only on Tuesdays, closed at the end of 2018. Mike the owner gave an excellent service to many of the hundreds of cycling commuters. He will be sorely missed. 2018 ended with 593 bike thefts in Bedford Borough, the highest number for more than 5 years. 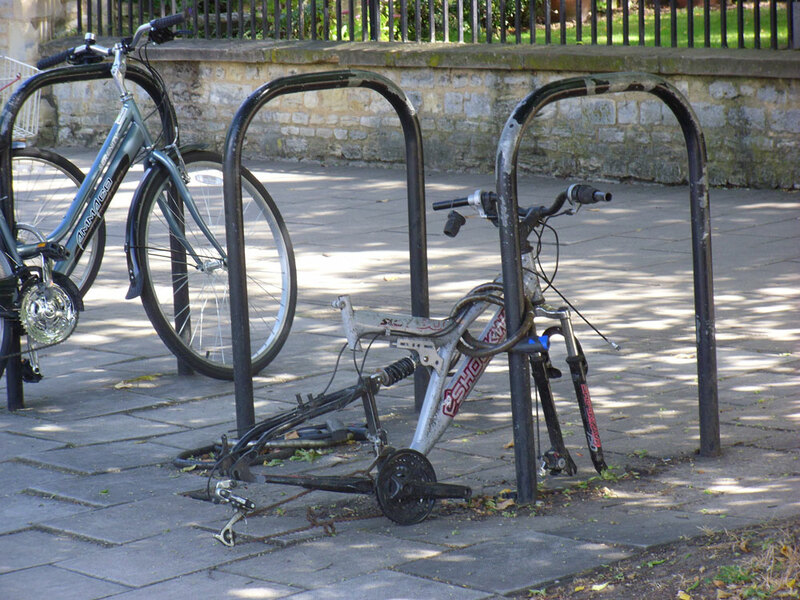 Please ensure you secure your bike frame and wheels when leaving it anywhere. Cycling Campaign for North Bedfordshire (CCNB) would like to wish all Bedford Borough current and potential cyclists a Happy New Year. 2018, CCNB’s 26th year of campaigning, has seen a further increase in residents cycling to the railway station where counts were again 4% higher than the previous year, making it a rise of 85% since 2006. Cycling to the town centre was flat, possibly due to the outsourced enforcement of the ban on cycling through the pedestrianised area of the town centre, with more than 1100 fixed penalty notices given out between January and September. Government cycling statistics for 2016/17 released in August 2018 showed that Bedford was still one of the top cycling towns in the UK (19th out of 295 local authorities) with only Cambridge, Oxford, South Cambs and Exeter being significantly higher for adults cycling at least once per week. A number of sections of cycle infrastructure continued to be installed during the year but disappointingly there has been still no decision on a signal controlled cycle route around the A6/A421 junction between Progress Business Park and the Wixams and no improvement in access at Kempston Mill bridge. To help cyclists securely lock their bicycles at their destination a number of new cycle parking stands have been installed at various facilities throughout the year including many as part of new developments. Cycle thefts, however, have still been at a high level so ensure that adequate precautions are taken when leaving a bike. 2019 should see new cycle infrastructure introduced in the Manton Lane/Clapham Road area as part of the Borough’s Transporting Bedford 2020 project. An answer is expected by mid-year from a public inquiry to be held in February 2019 as to whether or not a cycle/pedestrian path will be installed across the Midland Main Line as part of the Bromham Road bridge rebuild. Work on the bridge itself is expected to start in mid 2019 and take up to 13 months. 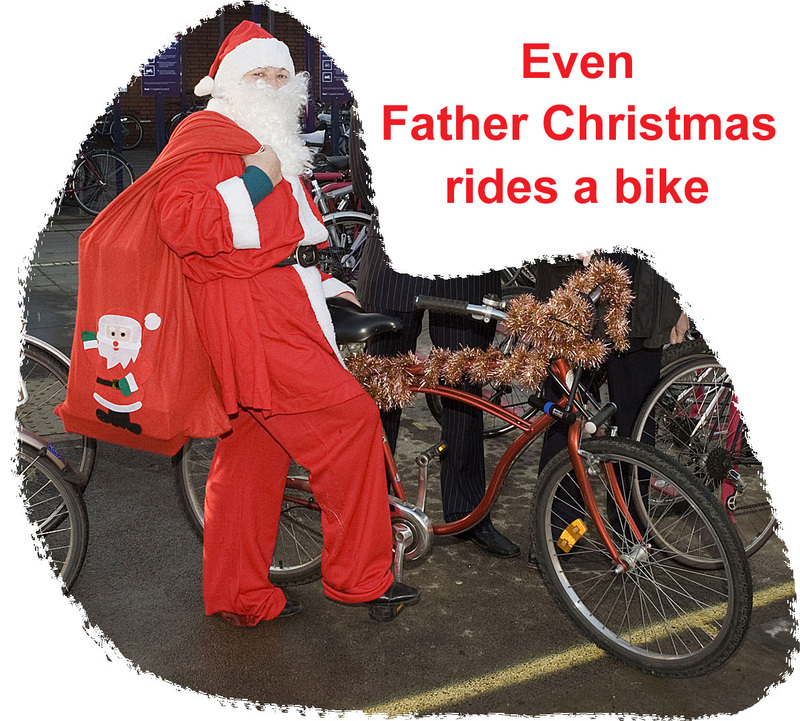 Cycling Campaign for North Bedfordshire (CCNB) would like to wish all Bedford Borough current and potential cyclists a Merry Christmas and a Happy New Year. Last summer saw cycle counts at Bedford railway station 4% higher than summer 2017 with no reduction up to November 2018 as winter approached. This is a rise of more than 89 per cent over the last twelve years and represents nearly 10 per cent of commuters using the station. Although less people tend to cycle in the winter months there is no need to abandon cycling as with a little bit of preparation it is possible to safely cycle in the dark and cold. Why not cycle to the station even if it is only for one or two days a week when the weather is nice. There are still plenty of spaces available. Remember to use front and back lights when it is dark and at the station to securely lock your bike to the cycle stand. Road Safety Week, set up by Brake in 1997, takes place this year on 19 to 25 November 2018. It aims to raise awareness of road safety and improve safety on UK roads by giving everyone an opportunity to promote road safety in their community, school or company. 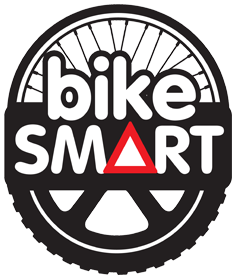 The theme for 2018 is ‘Bike Smart’. To find out more and take part, go to the information-packed Road Safety Week website. One of the resources produced by Brake is a short, animated film for primary school children to show the benefits of cycling and how to stay as safe as possible when riding a bike. 2018 is the 100th anniversary of the end of the First World War on 11 November. In remembrance to The Army Cyclist Corps and in particular the Huntingdonshire Cyclist Battalions in which many Bedfordshire people were enlisted CCNB in 2014 published a short article 'First World War - The Army Cyclist Corps Remembered' which can be seen here as a .pdf. The war was described at the time to be ‘The war to end all wars’. Both tyres in good condition. Worn tyres are more prone to punctures and slipping on greasy roads. Both front and rear working lights. You may be able to see the motorist, but will they be able to see you? Do not wear dark clothing. Fluorescent is ideal during the day but reflective clothing is the best for at night. The Borough Council's Road Safety Team are running a 'Be Safe Be Seen' campaign. Please look at the video on the webpage. The latest Intergovernmental Panel on Climate Change (IPCC) report published on 8 October 2018 has given dire warnings that the world has just 12 years left to limit global warming to 1.5ºC above pre-industrial levels to avoid a climate change catastrophe. Governments obviously must do more as well as local authorities, although Bedford Borough has already cut its carbon footprint by over 40% in the last few years. However at least one quarter of total emissions are from road transport. The emissions are also pollutants and almost every month new research is published on how they affect the health of everybody including the unborn child. Most residents can help reduce pollution (as well as traffic congestion) and climate change straight away by using sustainable transport - walking and cycling for short distances and a mix of these and the bus or train for longer journeys. Please try and use one or more of these modes of transport before it is too late. In the case of cycling, everywhere in the urban area of Bedford including adjacent villages are within a 15 minute ride of the town centre and can be reached safely using a mixture of off-road tracks and dual use paths, on-road quiet roads and cycle lanes on more busier roads without resorting to riding illegally on pavements. Cambridge Cycling Campaign has recently produced a video on 'Welcome to Cycling in Cambridge'. The information given is applicable to any town including Bedford. A new small family based cycle coffee shop and cycle workshop called Spoke n’ Wheel opened in Roxton in September 2018. The business is located at 33 High Street, Roxton, Bedford, MK44 3EA. The cycle workshop is offering repairs and services and a collection and delivery service for customers. A new cycle friendly coffee shop has opened in Riseley - Giddy Goat - offering coffee, cake, light lunches, ice cream, drinks and snack bars as well as bike racks, repair, pump area and a large outside space. The exact location is at The Garage, The High Street, Riseley, MK44 1DR opposite the school. CCNB have a joint stand with Cycling UK at Bedford River Festival on Saturday/Sunday 14/15 July 2018. Come and visit us in Unit H at the sports Village. 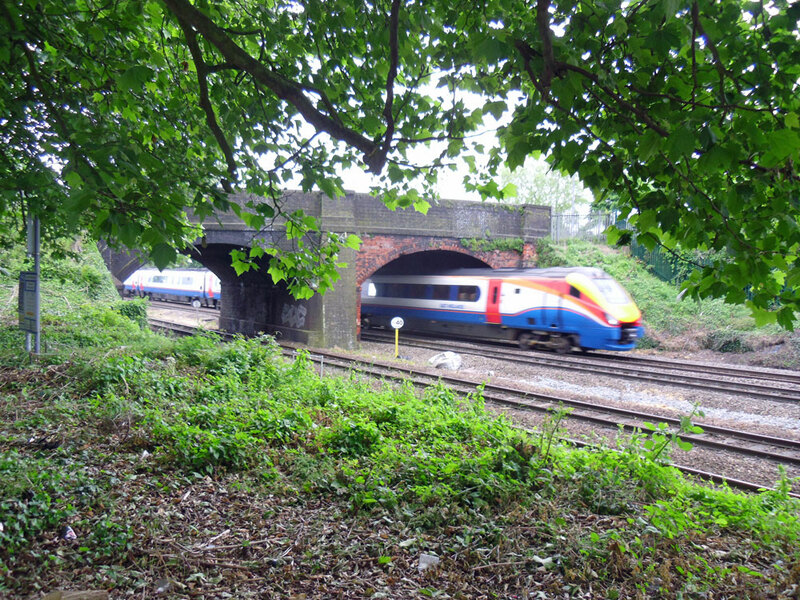 Bedford Borough in May 2018 said that Network Rail did not require a Environmental Statement to accompany a planning application for the rebuild of Bromham Road railway bridge. This was later confirmed by the Department for Transport. On 22 June 2018 Network Rail submitted their application to the Secretary of State for Transport for an order under the Transport and Works Act 1992 in order to confer powers and deemed planning permission to enable work to be carried out. The full documentation can be seen here. Objections, representations and letters of support for the application can be made until 3 August 2018. CCNB had a small exhibition in Putnoe Library from 4 to 23 June 2018, one week on either side of Bike Week, to promote urban cycling. The bridge is one of CCNB's three top campaigning schemes to complete gaps in the Bedford urban network. Since the Department for Transport’s commitment for the electrification of the Midland Mainline to the north in their High Level Output document of 2012 and the later need to raise the bridge we have been waiting for Network Rail to come up with a plan for the bridge rebuild which would include safe cycle infrastructure for all the hundreds of cyclists who have to cross the bridge, either dicing with death or serious injury on the narrow carriageway amongst continuous traffic including many HGVs and buses or riding illegally on the narrow pavement. This includes students cycling to school, residents cycling to the railway station as well as many other cyclists who have to use the bridge for a whole range of reasons. The time has now arrived with the sudden announcement by Network Rail of a public consultation at the Bedford Corn Exchange on Friday 20 April 2018. For information see here. The plans for the new bridge do not show the provision of any cycle infrastructure. A planning application (18/00918/EIASCR) has now also been submitted to Bedford Borough Council for an environmental impact assessment screening opinion. For the plan see page 30 of document v01 here. A short history of this project and what cycle infrastructure had been requested can be seen on CCNB’s website here. Cycling commuters at Bedford railway station over the winter period from 1 October 2017 to 31 March 2018 were 2% higher than in 2016/2017 even though it was one of the worst winters for several years. Mid April saw the second highest count ever. Why not join them this summer & save time/money. Following on from last October's rise in car parking charges at Bedford railway station the New Year saw not only an increase in rail fares for commuters but also a progressive increase in motoring costs due to rising petrol/diesel prices. Please encourage your non-cycling friends to save money by occasionally leaving the car in the drive and cycling (or walking) that short distance to the town centre or railway station. The fitness achieved can then give further savings by the cancellation of the monthly gym subscription. Do not let that pothole get any bigger than necessary. If you see one on your travels please report it to the Bedford Unitary Authority Helpdesk - If they no not know about it, it will not be filled in. Large one are normally repaired by the Pothole Squad within 2 working days and smaller ones within 6 weeks from the date of reply. Punctures always seem to happen at the worst possible times; when you're running late on a commute, on a freezing wet training ride at the top of an exposed hill or in an important event. Lock at British Cycling's top tips and take the steps to avoid getting as many in the current puncture prone climate. Ford End Road Bridge will be closed from 16 February 2018 to sometime between the end of June and the end of August 2018 to allow for one arch on the bridge to be raised for the Midland Mainline electrification project by Network Rail. Pedestrians and walking cyclists will still be able to use the adjacent metal footbridge while all vehicles will have to travel via Bromham Road Bridge to reach the town centre or the railway station using Hurst Grove as the diversion route. To ease the traffic flow there will be traffic lights at its junction with Bromham Road. For further details see the Network Rail webpage here. Bromham Road Bridge is due to be upgraded between June and December 2019 although no plans have been released to date. Last year, Cycling Campaign for North Bedfordshire's (CCNB's) 25th year of promoting cycling and campaigning for better cycling infrastructure, continued to see an increase in Bedford and Kempston residents cycling. Regular counts at Bedford railway station gave an average 4% higher than for 2016, making it an 80% increase since 2006. 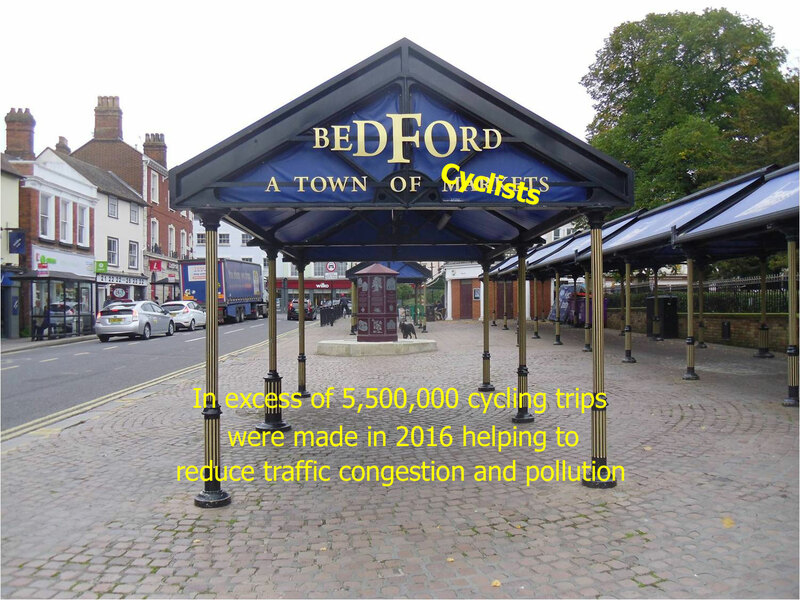 The last Active Peoples Survey indicated that more than 30,000 Bedford Borough residents maid in excess of 5,000,000 cycle trips per annum. What would congestion and pollution be like if there were no cyclists? Bedford and Kempston has an extensive cycle network to enable people of all ages and abilities to safely get around the town without having to use the busy main roads so there is no excuse for not trying this quick and cheap mode of transport. 2017 saw the completion of the Riverside North development incorporating a new cycle/pedestrian bridge across the river with cycleway improvements along the north side of the river and a raised crossing on the Hastingsbury route in Thirlmere Road in Kempston. To improve cycle security at a cyclist’s destination the year also saw a number of cycle parking stands installed as part of new developments; Riverside North, Norse Road sports facility, Towers Health and Rackets Club in Clapham Road, Aldi store in Ampthill Road, Lidl store in Ridge Road, Kempston, Coop store in Queens Drive Putnoe and Peacock’s new auction house in Wallis Road. Other stands were installed in Castle Road, Bromham Road and Midland Road, courtesy of Castle Ward Borough Members. Redundant ‘Sheffield’ cycle parking stands from Bedford railway station were also installed at Biddenham village hall and ones from Sandy railway station given to Mark Rutherford School in Wentworth Drive Putnoe. Further improvements in cycling infrastructure are planned over the next few years - safe crossings of the A6/A421 junction and Bromham Road railway bridge to name just two - as well as improvements to many junctions as part of the Mayor's £18m project to cut traffic congestion. Let us see ‘more residents cycling, more safely, more often' during 2018 to ensure that Bedford becomes a true ‘Town of Cyclists’ and ‘Cycle Friendly Communities’. Remember, every resident who takes up cycling means one less polluting vehicle causing congestion on Bedford’s roads making it easier for those residents that have to use a motor vehicle.